Being that we interact primarily with a student community, we provide all our programs and services free of charge. No one is ever turned away. The support for our programs comes exclusively from alumni, parents and friends. Please consider making a tax deductible contribution to support our important work. Online: Please complete the donation form below and submit it via our secure online server. By Phone: Gifts can be made via credit card by phone. To make a gift, please call 203-498-9770. 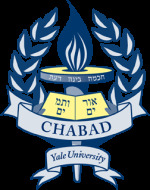 Gifts may be made to Yale University and designated for Chabad at Yale. Such gifts are recognized by Yale, and count towards reunion giving and class gifts. For more information, please contact us at 203-498-9770.